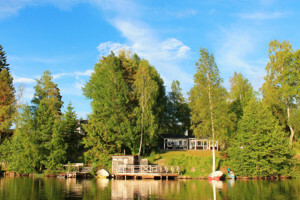 In contrast to many other cottages in Sweden dogs are very welcome to our cottage Visthusboden at lake Bunn. Enjoy the magnificent lake view from the terrace and relax in the in-house sauna. 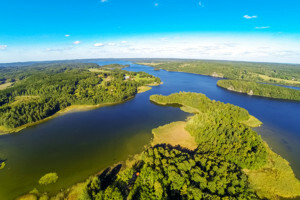 Lake Bunn is a true fishing paradise and a row boat is included in the rent. For extra convenience rent a boat engine from us to jet across the lake. 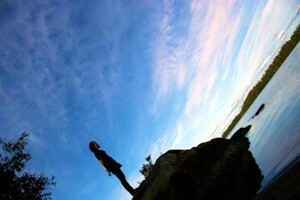 Our cottage Smedjan, which is also located at lake Bunn, welcomes dogs together with our guests. 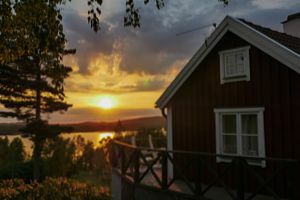 The terrace of our cottage in Sweden offers stunning views over the lake and the fireplace in the living room adds to the comfortable and cozy atmosphere. 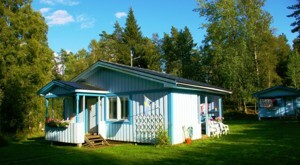 We are happy to welcome every guest wishing to spend the holiday with their dog to our blue lakeside cottage in Sweden. The cottage comes with a boat & fireplace and is only 45m away from the lake shore. Our cottage can house up to 6 people and if you want more room there is a guest house located on the same premises for your use. If you choose to rent our black cottage by the lake for a holiday with your dog you can look forward to not only the terrific views over the lake, but also to the small sauna on the special lake terrace right down by the water. A row boat is included in the rent and we can also offer you a canoe or bikes if you are interested. The bunk-bed in the children's room makes this cottage especially suitable for a family holiday. Few cottages in Sweden welcoming your dog on your holiday have the high standard of our newly renovated red cottage at lake Lången. Have a look at a video of the cottage to see for yourself! 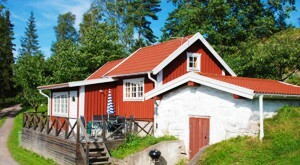 The cottage has a private sauna, a small guest house with a children’s bedroom and the lake is only 50m away. Our seaside cottage is certainly among the most exclusive cottages you could possibly find for a holiday with your dog in Sweden. 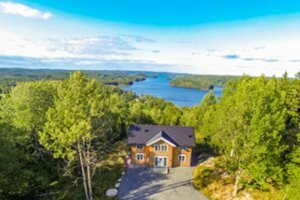 It's a real dream house located in the Stockholm archipelago, 3min from the sea, 35min from the city center of Stockholm and it comes with a dishwasher, sauna, boat and room for up to 2 families.